1. Clean metal with Sculpt Nouveau Metal Cleaner. 2. Dilute the Patina Stain 1 to 1 with Sculpt Nouveau Solvent Thinner or Clear Guard EF. 3. 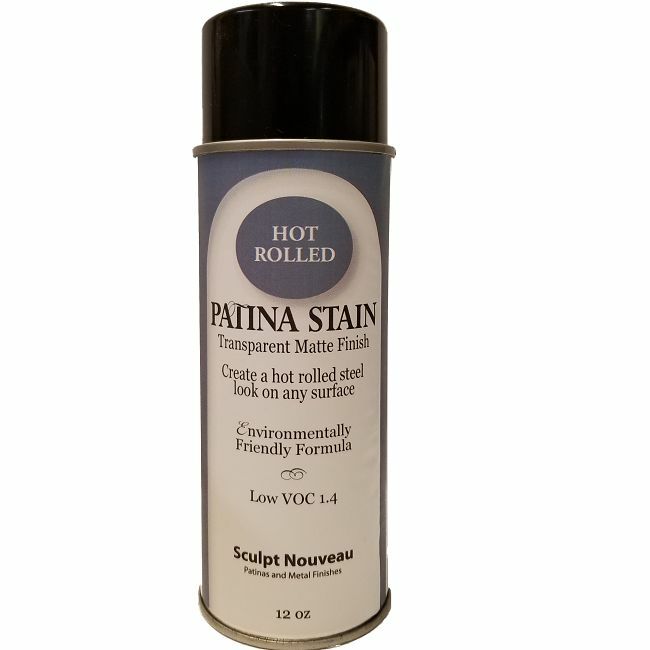 For the most even and clean distribution, apply the Patina Stain with an airbrush or other spray equipment. 4. With a cloth, wipe the surface with thinner to leave the Patina Stain in the recessed areas. Alternatively, Black Wax may be used to darken the recessed areas.